In 2012 after leaving Brasilia, the capital of Brazil, Gustavo Fernandes had only one dream - to build and consolidate his career as a DJ in Europe. Four years later, already on his 4th season on the old continent (and after a couple of years under the alias of Good2u), Gustavo goes back to the artistic name he used in Brazil, but replacing the "s" with a "z" on Fernandez. What seems like a small change actually brings a lot of significance related to his residency in Spain, his passion for Ibiza where he has been coming and going every summer, and his growing maturity as an artist. Nowadays Guto Fernandez is a reality. He’s played in a lot of the more important and well known clubs of Barcelona, and several times in Ibiza. A lover of the combination "Beats + Organic and Synths”, Guto Fernandez’s main musical influences come mainly from Chicago House Music and all the funky, disco and soul of black American music. His sets come to life in an interesting mix of House Music, Deep House, Nu-Disco, Funk and Techno, bringing a lot of groove and authenticity to the underground electronic music scene. Apart from deejaying, Guto also stands out as one of the pillars of the Brazilian label Tree Sixty One. 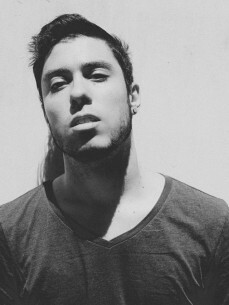 He acts as a producer, A&R and Public Relations of the label in Europe. He’s released tracks on labels such as ‘La Musique Fantastique', which stood out joining the Top 100 Soulful House list on the prestigious Traxsource site. Besides preparing the release of tracks for two important international labels, Guto Fernandez currently holds monthly residency on two influential radio programs. He plays on Ibiza Live Radio, and on one of the most important House Music radio programs in Brazil, Estaçao Transamerica. He is now recognized for his talent and great passion for house music. Guto is continually becoming more mature and secure with his musical identity.